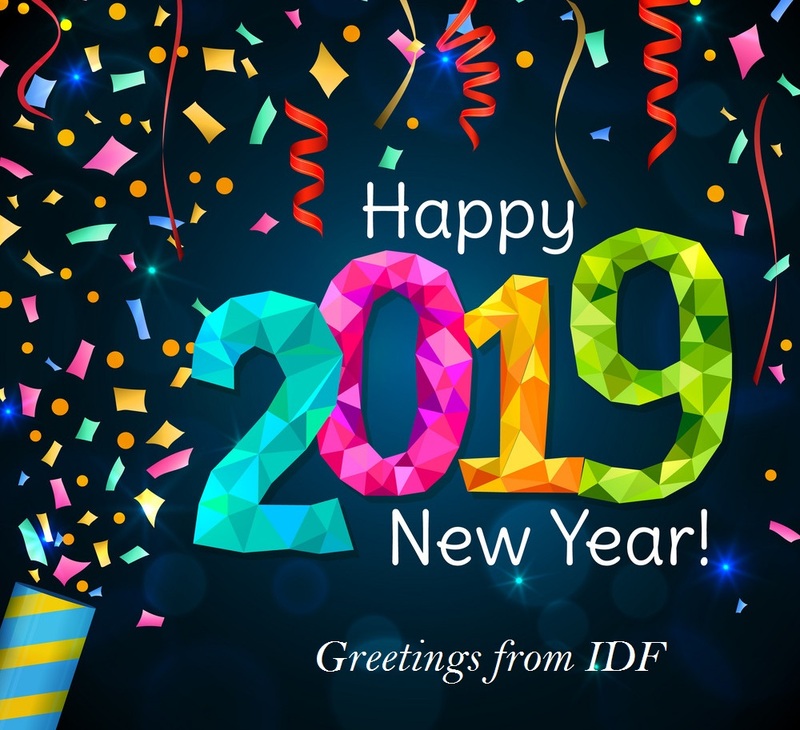 Dear friends!On behalf of the International Draughts Federation (IDF) and me personally I congratulate draughts players, coaches, organizers, officials and all fans of draughts on the New Year! On August 30, the regular IDF General Assembly was held in Bulgaria, at which a new board was elected, a number of important documents were approved and the necessary changes to the Charter were made. IDF, being the only organization specially created for the promotion and development of draughts-64 in the world, is still stable and successfully develops its sport in the international arena. Despite the split in draughts-64, created by the FMJD, which is competing with us, we successfully completed all the events of the IDF calendar for 2018 and are confidently moving forward. And the level of holding alternative events of the Russian Draughts Section of the FMJD in all respects turned out to be very far from the declared and, of course, from the level of IDF events. In 2018, in accordance with our calendar, all planned events were held. 2018 was the year of the continental championships, qualifying for the 2019 World Championship. In Africa, in Malawi, the 2nd African Draughts-64 Championship was held in July at a high level. The championship was attended by representatives of 8 countries, the winner of the classic program Lukanga Mwambwe from Zambia became the second international grandmaster in Africa for draughts-64. The championship was held under the patronage of the Ministry of Sports of Malawi with the active participation of the newly established African Draughts Confederation-64. The debut of the African Draughts Confederation-64 was a success. During the championship, a General Assembly of the confederation was held, a leadership was elected, which began to actively develop draughts-64 on the African continent. Both continental championships were held in three programs (classic, blitz and rapid) in three types of draughts – international/Russian, Brazilian and pool checkers. Players who have international experience won in both championships. They have already participated in the World Draughts-64 Championships. European Draughts-64 Championship among men and women was held in September 2018 in Bulgaria. The championship was attended by representatives of 15 countries (14 countries for men and 10 countries for women). The winners of the classic program were international grandmaster Igor Mikhalchenko in men and Vera Khvashchinskaia in women (both from Belarus). Winner of women championship Vera Khvashchinskaia apart from official awards was awarded the title “International Grandmaster”. The prize fund of the European Championship was 20 000 euros. 6 stages of the World Cup were held on three continents – Europe, Asia and America: in Jamaica, Uzbekistan, Italy, Estonia, Portugal and final stage in Georgia. About 300 players from 27 countries of the world took part in all programs of the 2018 World Cup. Competitions were held in various versions of draughts-64: international/Russian, Brazilian, Portuguese and pool checkers. The total prize fund of the World Cup was more than 15,000 Euros. The IDF traditionally paid much attention to children’s sports. In Bulgaria, at a good level and with a large representation of countries youth competitions were held: the European Youth Championship (10 countries) and the World Youth Championship (15 countries). In both championships, the winners of the competitions in each age group except official awards received prizes from the organizers. Traditionally in Bulgaria, together with the youth championship, the World Team Championship and the World Veterans Championship were held. The men’s and women’s teams from 14 countries took part in the World Team Championship. In the World Veterans Championship players from 12 countries participated, players from 7 countries won medals in various nominations. Under the auspices of the IDF various international tournaments were held. For the first time IDF participated in the organization and conducting of draughts-64 tournaments at the World Festival of Checkers and Draughts in Barbados. I am sure that Draughts-64 tournaments within the framework of the festival will become traditional. For the first time International Draughts-64 Tournament was successfully held in the capital of Armenia, Yerevan. In total, more than 1000 players from 50 countries of the world took part in the official competitions of the IDF in 2018! The Fund for promoting the development of Draughts Sport “Russian Draughts” provided a great support in holding our most impotant official competitions, for which we express our great appreciation to him. At the end of the year, a new leadership came to the foundation and a new foundation website open. I am sure that in the New Year, the fund’s activities will reach a new level, and draughts-64 will even more confidently walk around the planet. In 2018, a technical commission worked promptly. Many players received deservedly performed international titles. A systematic work was carried out to popularize draughts on various Internet resources, on television, in newspapers and magazines. Information about our activities was promptly published on our official website. Fans of draughts from more than 200 countries of the world follow the news of draughts-64! 2019 will be next important stage in the development of draughts-64 in the world. Work for establishment international contacts with various world sports organizations, attracting new countries to our organization will be actively continued. The main tournament of the year – the World Draughts-64 Championship among men and women will be held at a high level and with a large prize fund. The venue will be announced shortly. In Bulgaria, World Youth Championships in 6 age groups, World Team Championship and World Veterans Championship traditionally will be held. 4 stages of the World Cup will be held in Georgia, Italy, Estonia and Portugal with the inclusion of programs on the international/Russian, Brazilian, Portuguese versions of draughts-64. In 2019, the Asian Championship, qualifying for the 2019 World Championship will be held in Tashkent, Uzbekistan. The European Youth Championship in 6 age groups will be held in Bulgaria. For the first time, in addition to traditional international tournaments, international draughts-64 tournaments will be organized in the capital of Finland – Helsinki and in the capital of Japan – Tokyo. 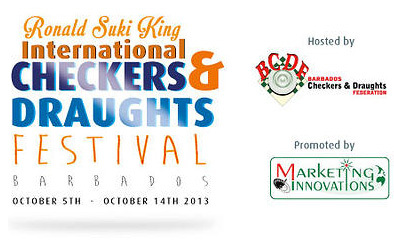 Draughts-64 tournaments as part of the World Festival of Checkers and Draughts in Barbados are scheduled. In all tournaments under the auspices of the IDF, the rules of international titles will be established and tournaments will be included in the rating calculation. What else awaits draughts-64 in 2019? The material and technical base of IDF will be strengthened. There will be new events and projects for the development of draughts in the world. I wish in 2019 for everyone health, prosperity, success and new achievements, prosperity to our beloved sport!